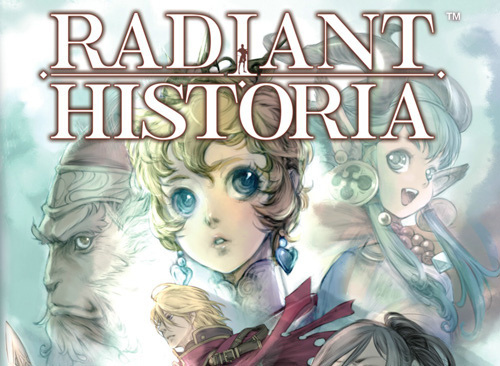 Like most Atlus games, critically acclaimed DS RPG Radiant Historia only had a limited print run upon its release last year, leaving many interested customers unable to find the game at retail. Now, nearly a year after its first release, Atlus is readying another production run. The next round of games will drop in late March, with Atlus recommending customers pre-order to avoid disappointment. The reprint will not include the CD of Yoko Shimomura's soundtrack included with the original print run, however. If you missed out the first time around, all's not lost. I've never even heard of this game. I guess I'll have to check it out. I preordered mine. As for Portisanta, look it up. It has been compared to Chrono Trigger. Which means its worth buying. This is one of my absolute favorite DS games! Highly recommended! I'm glad I preordered this on Play-Asia long enough before release. The piano pieces on the included CD were fantastic . Gave it a 9/10 in my review for Cubed3.com. Get this game people. Its that good! Now corbie will need to finish that review! Also the CD was not all that great. Your not missing out on much. Stopped playing around 12 hour for no real reason. Got occupied with other games I guess. It's definitely worth playing. The battle system is great, but there's a LOT if text. Will get back to it soon hopefully. I'm surprised this site hasn't reviewed this. I definitely want to buy it at some point though. As soon as I have some time to actually play it. Wait, soundtrack CD!? No longer available...? Man, that's a bummer after hearing that song from it on NLFM. Its not really a soundtrack CD. Its piano only! I listen to it once and never need to again. I'm very angry!!!!!! Because Atlus doesn't want release this RPG in Europe!!!! I'm surprised they have waited so long for a reprint. Is there a precedent for this? One of these days I shall open my copy and play it dammit! I should set aside this summer for all my unplayed DS games. I bought in in a Mix-up. They have high prices but this game deserves it (includes soundtrack). I hope the new release cheaper. Best DS game I ever had! playing it all day long ! Count your blessings you'll be able to import it - that's what I plan to do. YES! Won't have problems finding this anymore then! I'll be preordering when I go pick up Tekken 3D tomorrow. This game is absolutely incredible. Don't miss this second print run! Okay, I feel a bit better about that. Now when the heck am I gonna have time to fit in another RPG...? This game is great, but I gave up at one part where I had to fight this large boss surrounded by mines to defend the native village. It killed my party in 3 turns. I want to get back to it, but I can't stand grinding. @EmpireIndustries: This game is kinda old-school in that you'll need to grind a bit in order to get through it — and if you want to complete the game and get the best ending, you'll be doing quite a bit of grinding to get through the more difficult sidequests. empireindustries i completed this game and there was no grinding involved.there was alot of hopping around time mind.you probably just had to be at a different time or place as often you have to switch time lines to make progress.i hate grinding too.this game is the best on ds. @gazamataz: no offense, but I call shenanigans if you say you honest-to-goodness completed the game, all sidequests done, best ending and everything, without grinding. maybe you're calling it something else, idk, but to say this game doesn't require you to grind at all to complete it is a bold-faced lie. to just beat the game, no, you could probably get through without grinding if you were pretty lucky, but completion is another story. Anyone that loves RPGs and missed out on it the first time should make sure to get their pre-orders in. I bought my copy about a month after it came out last year and it was already becoming hard to find then.